With adjustable maximum surface temperatures and temperature caps, safety radiators are perfect for commercial buildings, such as schools, hospitals, or nurseries. A safety radiator may also be an ideal choice for work environments, or restaurants and bars that are open to members of the public. However there is a place for safety radiators in domestic buildings also, many models including safety radiator guards to make the radiator safe touch, and so are suitable for families and households with young children or babies. Safety radiators are perfect for preventing heat reaching potentially flammable items and so are ideal for elevating fire safety and prevention. 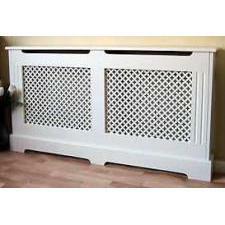 Also available are additional radiator accessories or extras you may need, such as radiator covers, padding and valves. Valves and covers are also great accessories for capping and controlling your radiator temperature.